Ellevest, a new digital platform for women, has raised $10M in a Series A funding round led by Morningstar. Mohamed El-Erian is among the investors. 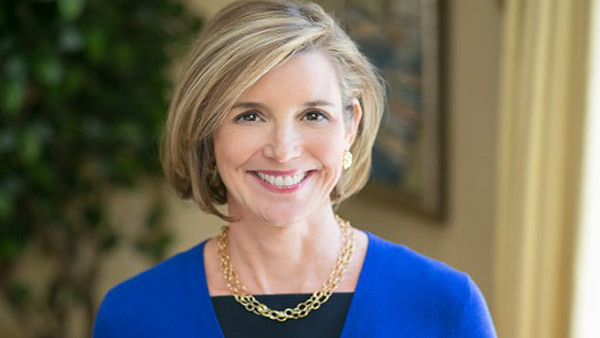 Sallie Krawcheck has launched an “investing experience” built for women. Ellevest, a new digital investment platform for women launching in early 2016, announced on Monday a $10 million Series A financing round led by Morningstar Inc. The former head of two wirehouse wealth management units — Bank of America Merrill Lynch and Citi — strongly defended the robo-advisor model in an interview back in February, and some questioned then whether that meant a move into the robo-space. Ellevest was founded by Krawcheck, who will become the new platform’s CEO, and Charlie Kroll, who will become its president and COO. Prior to Ellevest, Kroll founded Andera and served as CEO of the venture-backed fintech company, growing the company from a startup to an industry leader until its sale in 2014. In addition to CEO of Ellevest, Krawcheck will maintain her current role as chairwoman of Ellevate Network, the global professional women’s network dedicated to helping women advance in business. “The Ellevest team has assembled a diverse group of investors from the financial and consumer services industries,” according to a statement. Notable participants in this round of funding include Mohamed El-Erian, chief economic advisor at Allianz and the former CEO of PIMCO; Ajay Banga, president and CEO of Mastercard; and Robert Druskin, executive chairman of the DTCC, former COO of Citigroup, and former Chairman of E-Trade. Women are maybe becoming a hot market in the robo-space. Just over a month ago, Tina Powell of RIA Beacon Wealth Management launched SheCapital, a new online advice platform catering to novice female investors. Is Going Robo the Secret to Growing Your RIA?